We will accept returns within 30 days of purchase as long as the product is in new condition. There will be a 10 percent restocking fee for all returns. The PS series spectroradiometers are non-refundable. Any custom built product is non-returnable. Please contact us before sending back any product. To submit a return request please click here. Apogee is continually improving the durability and reliability of our sensors. This ongoing process has reduced product failure to virtually negligible levels. 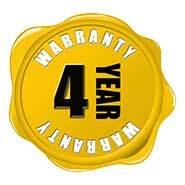 As a result, Apogee Instruments is proud to announce that, as of September 1, 2013, all products we manufacture now carry a 4 year warranty. All Apogee Instruments products have a four (4) year warranty against defects in materials and workmanship, except for the PS-Series Spectroradiometers, SS-110 and SS-120 Field Spectroradiometers, and the MC-100 Chlorophyll Concentration Meter, which carry a one (1) year warranty. Other third-party accessories, like batteries, carry the original manufacturer warranty. The product failed due to an extreme condition i.e. fire, flood, etc. Please note, all precision sensors experience some accuracy drift over time. Our warranty does not cover the cost of recalibration as this is considered a routine maintenance issue. Please see our recalibration page for more details. The bottom line is we want our customers to be happy. If you have any warranty questions with your product, please contact our tech support by email at techsupport@apogeeinstruments.com or by phone at 435.792.4700, toll free at 1.877.727.6433.